TAG members are located all over the UK. 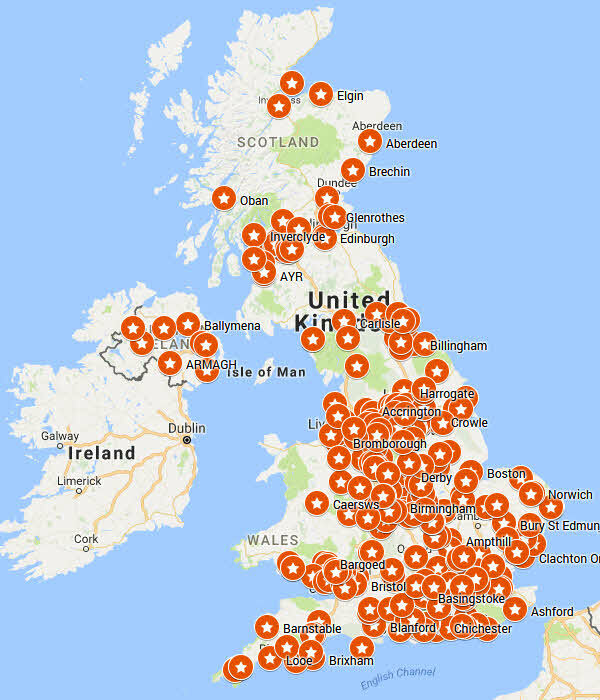 The map below shows where the 400 or so TAG members located in the UK live. It only shows location, no personal details. But you'll be able to see if there are other members near your home and the TAG office can put you in touch if you wish. There are also TAG members around the world - including Italy, USA, Ireland, Poland.